PRESIDENT Thein Sein of Myanmar is The Straits Times' inaugural Asian of the Year. Mr Thein Sein, 67, was chosen by top editors of this newspaper for his role in loosening political and economic controls in Myanmar. 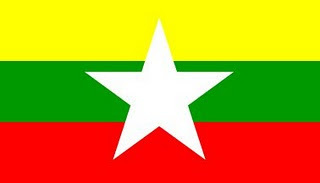 This has led to democracy icon and Nobel Peace laureate Aung San Suu Kyi taking a seat in Parliament, the lifting of Western sanctions and a surge of investor interest in the once-reclusive nation. By his actions, he has also opened new strategic opportunities for his country and set in motion forces that could have a positive impact on not just South-east Asia, but also the wider Asian continent. Properly harnessed, these hold the potential to lift millions of people from poverty in a nation rich in natural resources, but held back because of a closed economy and decades of suspicion towards foreigners. The Asian of the Year award, to be announced every December, will recognise a person or organisation from the region that has contributed significantly to changing lives for the better, whether in his own country or the wider region. The Straits Times, established in 1845, is uniquely placed to confer the award as few other news organisations devote as many resources to covering the Asian region, said Mr Fernandez.